When I filmed this video of me freemotion quilting my Summer Solstice quilt I shared a snippet of it on Instagram. I was trying to decide on whether I should shorten or speed up the video once I share it on YouTube. In the end I left it as is. I think that it helps to see how the quilting is done. My machine is not stitch-regulated. I find that if I keep at a steady pace I don't have as much of a problem with uneven stitches. It took me along time to be able to quilt feathers. I feel I need alot more practice with feathers but for now I'm pretty happy with how far I've come. With practice you can freemotion quilt with ease. 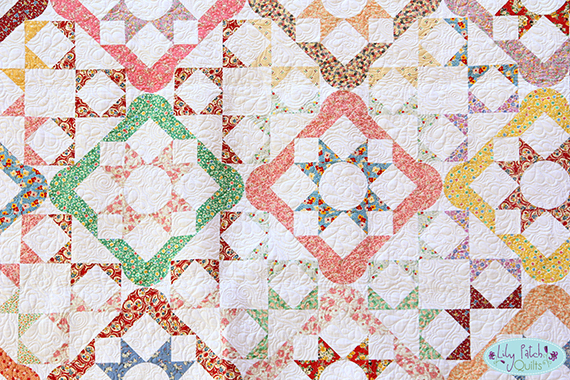 Your quilting is so pretty, Kim. I wish I could do that...I do not have the creative eye for free motion.